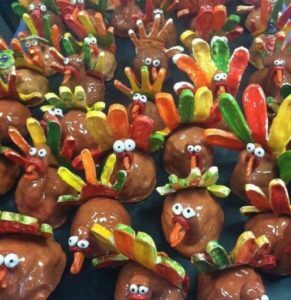 Join us this week to make an adorable clay handprint turkey. Cost is $10 per turkey. We will make them this week and paint next week. You can come at 1:00 or 2:00. 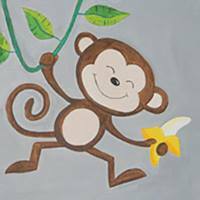 Join us this Friday evening for Kids Night Canvas. We’ll be painting a cool Halloween design and munching on pizza and spooky snacks! Join us today to paint ornaments with acrylic paints that will then be given a glitter coating and sent home with you!! Ornaments are $7-8 +tax. 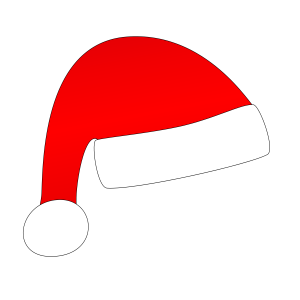 We will be open from 10-12 this morning for pick-ups and gift certificate sales! We'll be offering our wonderful 9" x 12" platter for only $25 today. Come in and make a great serving piece. 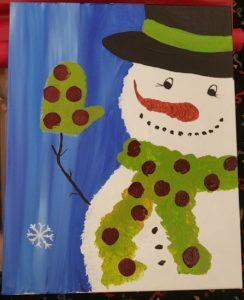 Join us at 1:00 today to paint our Troy the Snowman canvas! $25 per canvas. RSVP, please. 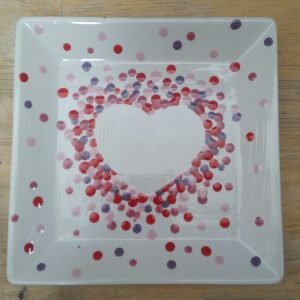 Join us this Monday evening for some pottery painting or glass fusing WITHOUT the hubby or kids in tow! Bring in your snacks and beverages and relax while painting your masterpiece. RSVP requested but not needed. 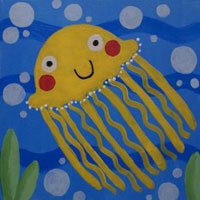 We will be open from 6-9 p.m..
Drop off the kids for an evening of munching on pizza and painting our adorable Jelly Fish Canvas! Chase away the winter blues with our warm water friend. Only $25+ per kid. No Parents Allowed!!! Register soon to grab your spots! 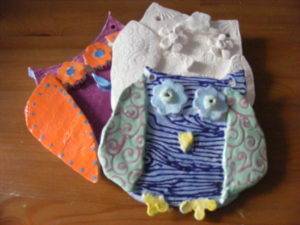 Join us this Thursday for Clay Owl Plaques! 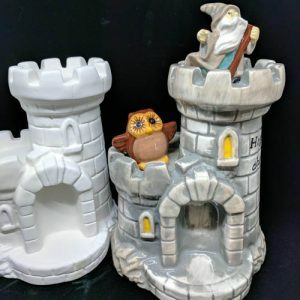 Designing your own owl will be a hoot! Only $10 per kid. 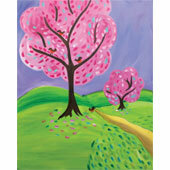 Come join us to make this sweet Valentine Tree Canvas while raising money for a great cause. Light refreshments will be served and instruction will be given. We even have patterns you can trace on to help guide you through making your masterpiece! 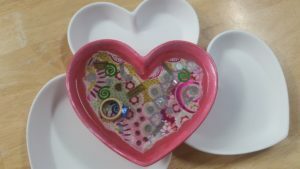 Join us this week to make an adorable Candy dish for Valentine's. We will be using the "paper technique" to make our heart design on the dish. Cost is $10 per dish and please RSVP. Join us this week to make a Heart Treasure Collage. This will be our first resin project. I have lots of fun things to include in your collage and you can bring something of your own to include. Prices includes all materials. Cost is $12. You will be able to take projects with you that day. Please RSVP to save your Heart Dish. 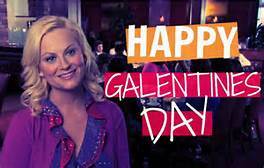 T'was the day before Valentine's and time to go out with your Gal friends and have a great Girls Night Out!!! We will provide desserts, you proved any other munchies and beverages! 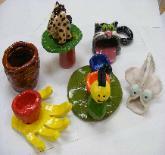 We'll have pottery painting and glass fusing available. RSVP to save your spots and so I know how much chocolate to buy!! Mixed Media Canvas-Part 1: Today we will be making the clay letters and shapes for our mixed canvas project and start painting the background on the canvas. This is a two part class with the final steps next week. Each week is $10. Mixed Media Canvas-Part 2: This week we will be finishing the canvases we started last week. We will paint the clay letters/shapes we made and finishing the canvases. Once everything is painted we will attach the clay pieces to our canvases! Cost is $10 this week. Join us today to paint your own Tic Tac Toe Board, complete with pieces to use! $10 each. Closed Today! Attending training to learn new stuff! 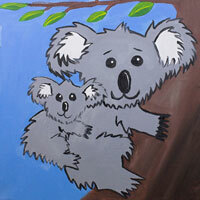 Join us this Friday evening for our Koala Hugs Canvas!! And pizza..drinks...snacks! Only $25+ per kid and limited spaces! This has a bit more detail than our last one so ages 8 and up are advised. Closed Today to attend training to learn new stuff! 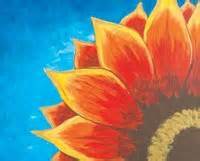 Join us this week to make a Fab Floral Canvas! Only $12 per canvas. 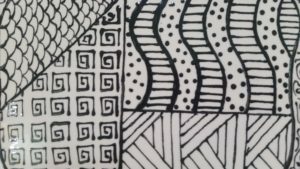 Join us this week to make a fun ZenDoodle pencil cup. This is a fun technique you can use on many different pieces. Only $10 per pencil cup. 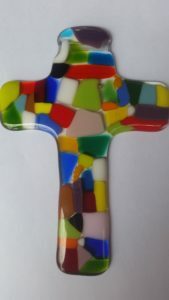 Join us this week to make this great fused glass cross! You pick you colors and design your cross. We'll have it back to you for Easter and to enjoy in and window all year long. $12 per cross. 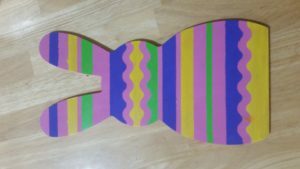 Join u this week to make one of these adorable Bunny Plaques. 12" tall! Only $10 each but supply is limited. RSVP here or FB to save one for yourself! 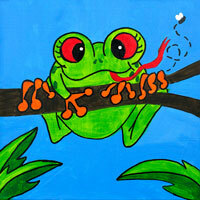 This month we will be painting the Friendly Frog canvas! $25 per kid for painting and pizza. Reservations needed and limited space. NO Parents Allowed!! 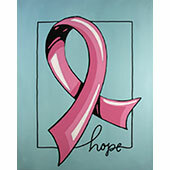 Join us this Sunday at 3:00 for our Ribbon of Hope canvas fundraiser benefiting the Missy's Angels Relay for Life team! Light snacks provided. RSVP to reserve your canvas! $35 per person. This is a great new design you can customize with any color ribbon. 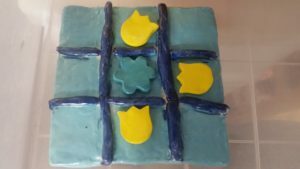 Join us this week to make a fused glass sun catcher or cross. $12 per item. We will be open 11-6 during the festival. It's a great time to take a break and make your Mother's Day presents!!! We will be open 11-5 during the festival. It's a great time to take a break and make your Mother's Day presents!!! 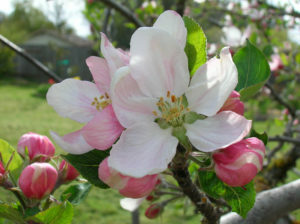 We will be closed for staff to celebrate Mother's Day with their families. 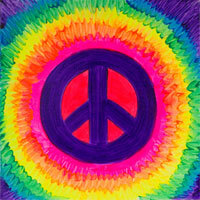 Join us tonight for pizza, snacks, and painting this great neon peace sign canvas!! $25+ per kid. Reservations needed! Join us this Saturday in Old Town for lots of fun activities for kids! We'll have canvas painting and some specials too!! Summer is coming! Don't forget to sign your kid up for our summer clay camp program, Pound-Paint-and Create, offered through Frederick County Parks and Rec.. Check out their flyer for details and dates. These camps fill up fast! 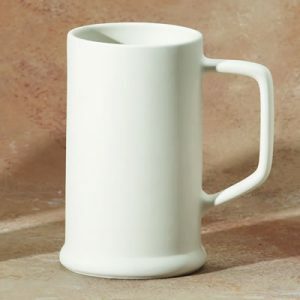 Join us Friday and Saturday to paint this great beer stein for only $18. 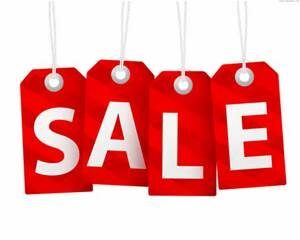 It's while supplies last so don't dilly dally! WE will be Open this Monday from 12-5! Come paint a pot and enjoy the celebration in Old Town. 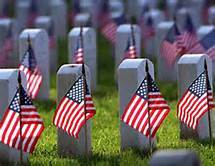 We will be closed for the fourth. 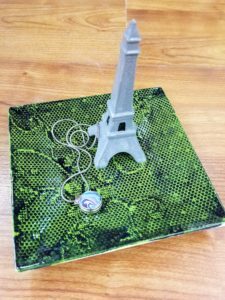 Come in between 3-6 p.m. to paint our rectangle tray for only $20!! Join us anytime between 3-6 and paint this great beer stein for only $16!! These things are big and AWESOME! We are open today from 11-5! Come paint something cool! 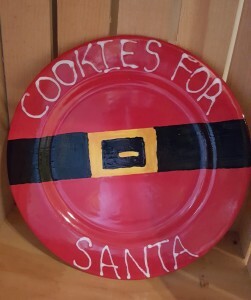 Join us this afternoon for a Relay For Life Fundraiser and paint a great serving platter! Only $35 per platter and light refreshments will be served. 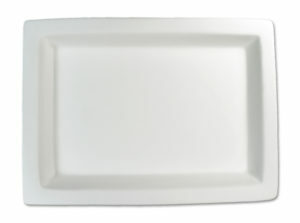 The platter is 8"x11" and prefect for decorating for any of the upcoming holidays! Reserve your platter now! Kids back in school and we are settled into our new spot! Kids In School? Canvas painting anytime! 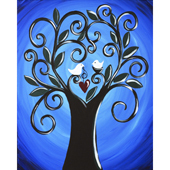 We offer walk in canvas painting all week long. 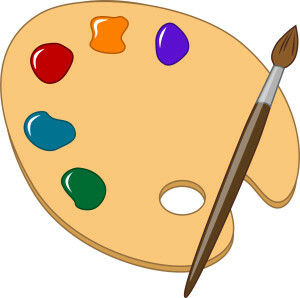 Just come in, pick out your design, and we'll guide you through making your painting. 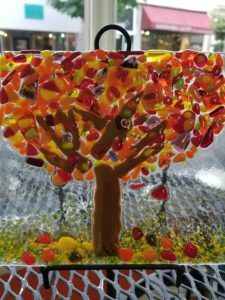 Join us this Sunday afternoon and learn all about glass fusing by making this great looking fall tree dish. 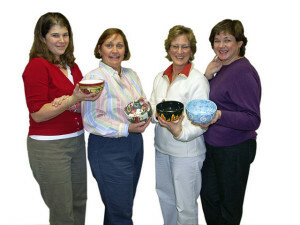 Class starts at 3:00 and costs $26+tax, includes all supplies and fusing. 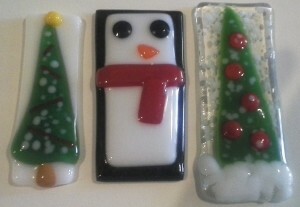 Come see how fun and easy it is to do glass fusing. We offer time slots on Saturdays and Sundays and the cost is only $14 per kid for pottery and $15 for canvas. 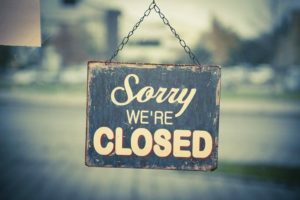 We will be closed to recover from a crazy busy summer! Homeschool art is back this week!! 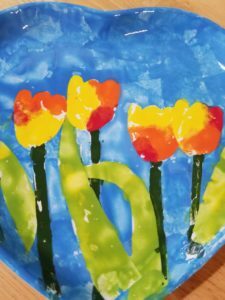 Remember the paper technique tulip plates from this spring? Well. we are doing those but using leaves this time!!! Only $10 per plate! come in on Wednesday or Thursday. 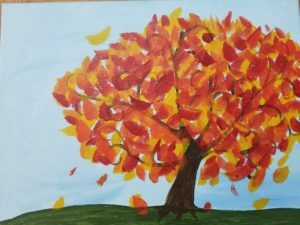 Join us this Friday as we create a Fall Tree Canvas and, as usual, munch down on some pizza!!! Only $25+ per kid. Call or sign up here to reserve. 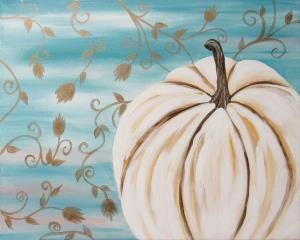 We offer some wonderful fall and Halloween canvas designs. Come in anytime to paint one! Join us this week to make a great leaf dish for fall. 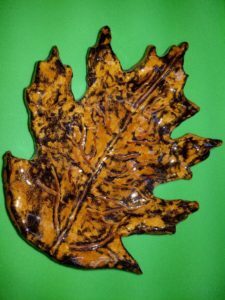 You will be able to choose your leaf design and paint your clay project that day or come back in two weeks to paint it. $10 per kid. 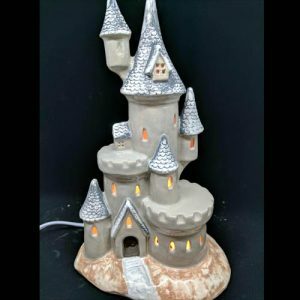 Now is the time to get your ornament fundraiser scheduled! This is a great way for parents and kids to make memories while raising money for your organization. Call for details! Join us this week to make a flighty bat mobile. No, not one for Batman, but a cool one with flying bats for Halloween. $10 per mobile. Join us this week to make a spooky ghost bowl. We'll be using the paper technique and your choice of colors for this design. $10 per bowl. And we are back to canvas with this week's design, Harvest Moon. We'll have some curious bats flying in the moonlight. $12 per canvas. Now this is a really cute one! We will make a clay pinch pot for the turkeys body and then use hand-prints to make the turkey's feathers out of clay. Too Cute!! $10 per turkey. 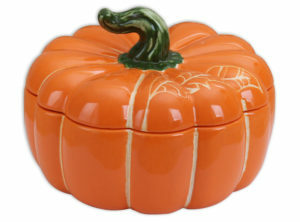 This week we will be getting ready for Thanksgiving by making some clay napkin rings! These will look great on your holiday table. $10 for 4. Bass-Hoover ornament night for students at parents at B-H! 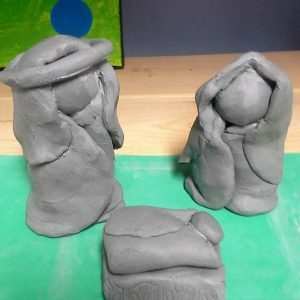 Join us this week to make a clay manger scene with Joseph, Mary, and Baby Jesus. These are adorable and something you'll treasure for years. Cost: $10. 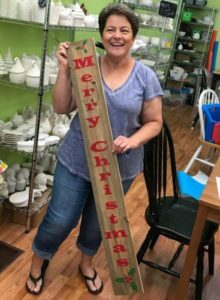 Join us to make this great holiday sign and get ready for the season. This is a super easy design and you can copy our colors or choose your own. Only $25 + tax and we even and the holes and rope for hanging. Buy your ticket now to claim your board. We do have a limited supply. Ladies, this is your night to come create with no men and no kids tagging along! 6-9 p.m.. RSVP appreciated. 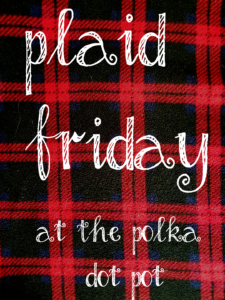 We will be opening at 10 a.m. on Plaid Friday! 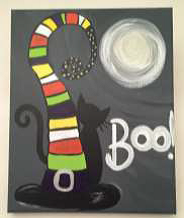 Make your reservation for 10:00 and receive 25% off every completed item you paint! Reservations are a must, call the shop to reserve your chair(s), and you must arrive by 10:15. 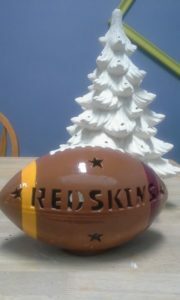 This is a great time to get those awesome handpainted presents done! 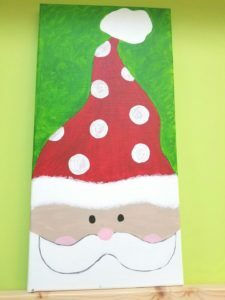 Join us this morning to paint this adorable Santa Canvas! Special price of only $20 + and you take it home today! Reservations are needed as canvases are limited. Have fun using colors of your choice and decorating his hat the way you like! Today ONLY! Purchase a $50 gift certificate for only $40!! Certificate must be picked up in the studio. You can buy one $50 or two $25. This week is a favorite-Glass Ornaments! 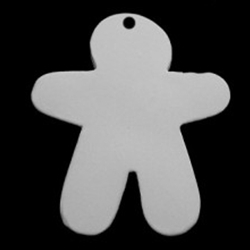 We have the base sizes ready for you to choose a shape and design your ornament. $10 each. This week we will be making a plate with a Christmas Tree design using fingerprints! This is a fun design to do and great for the holiday season. $10 per plate.